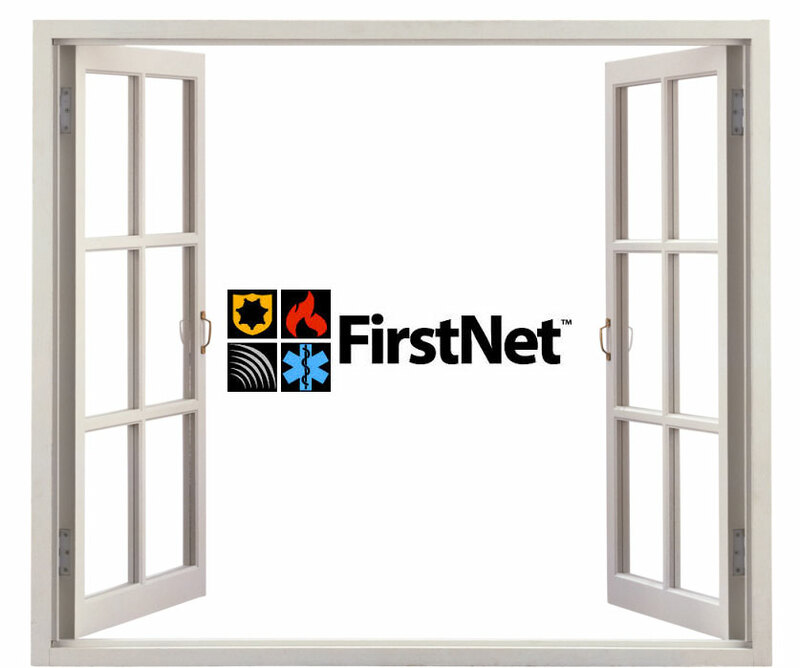 Is FirstNet Open and Transparent? The answer is “no” … and “yes”. FirstNet is the First Responder Network Authority. FirstNet was created by Congress in February, 2012, and authorized to spend up to $7 billion to build a nationwide public safety wireless network. A Board of 15 members was appointed in August, 2012, to begin the work. In April, 2013, one board member, Sheriff Paul Fitzgerald raised concerns about lack of transparency in the work of the Board. The FirstNet Board convened a special review committee to look at Sheriff Paul Fitzgerald’s concerns that FirstNet was not being open in the way it conducted its meetings, hired its staff and operated in general. I have no special expertise or thoughts regarding Sheriff Fitzgerald’s concerns as expressed in his April, 2013, resolution, or the report of the special review committee announced on September 23rd. But I do have specific concerns of my own and suggestions for the FirstNet Board and staff. 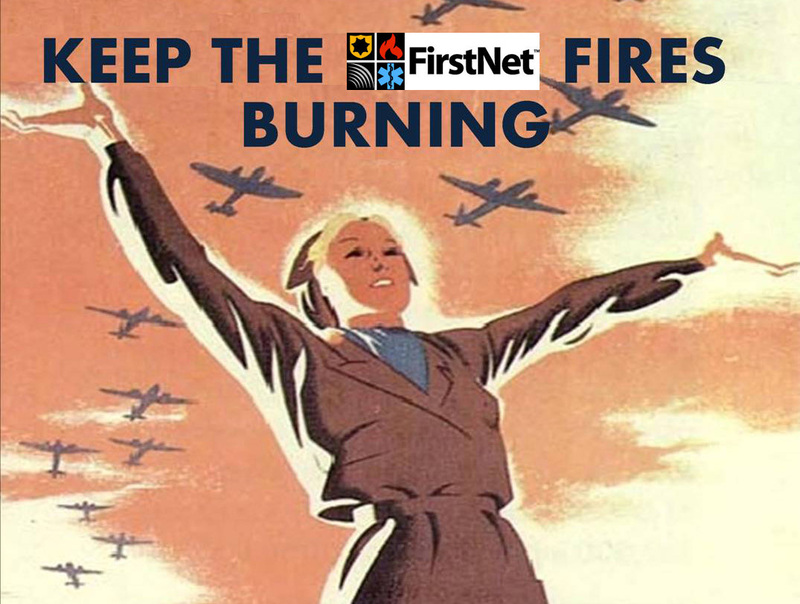 FirstNet starts with a deficit – it is a federal agency, and there is a love-hate relationship between the Federal governments and local/state governments. As my colleague Chuck Robinson from the City of Charlotte has observed, local and State governments are very accustomed to working under open meetings or sunshine laws, which provides a level of transparency that the federal government and its agencies, and private business firms find extremely uncomfortable. Many in FirstNet don’t fully appreciate this trust gap between local and state governments and the federal government. Because of this gap, FirstNet is put in a position of needing to earn trust, which requires FirstNet (the organization and its members) to be trustworthy. Trustworthiness is not just being honest, telling the truth, keeping promises, and being loyal so people can trust you, it is also being open and transparent in all they do so that their motives and actions can be clearly understood. Suggestion: Be more open about your meetings. Some board meetings are open and announced, although agendas are not usually available very far in advance. But other meetings of the full board clearly happen and are NOT announced in advance, and I’ve never seen announcement of committee meetings or weekly board teleconference calls. One example: FirstNet had an open meeting on Tuesday, June 4th in Colorado. Many people were there for a PSCR meeting at the same time. But, unbeknownst to most of us, the Board actually had an all-day meeting the day before, June 3rd, when they reviewed and essentially approved a fiscal year 2014 budget! During the open meeting they constantly referred back to the Monday meeting which was both closed and unannounced. It was hard to follow the open meeting due to phrases like “as we discussed yesterday”. Oh yeah? What did you discuss yesterday? I suggest FirstNet should announce EVERY board meeting and EVERY board committee meeting, and, at least in general, what the subject matter is. We all understand some meetings will have to be closed for budgetary and personnel matters. But EVERY meeting, even the closed ones, should be announced and the subject, at least, should be public. And when the open meetings actually happen, make them like city council or state legislative meetings – in a large open room where there is plenty of space for an audience. Allow some “public comment” before or after. And not just for press, but for many of the rest of us who are interested in FirstNet work. Oh, and, by the way, does FirstNet know that a meeting held at 10AM Eastern Time is 7AM Pacific Time, 6AM Alaska time and 5AM Hawaii time? Finally, it is commendable that FirstNet webcasts video of its meetings and accepts questions via the phone, then quickly publishes a verbatim transcript. But I suggest getting a professional service with good microphones and cameras to improve the quality of those broadcasts. Suggestion: Publish a directory of staff names, responsibilities and contact information. FirstNet has been decently good about announcing its hires. When FirstNet staff come to meetings in person, they are quite open and approachable. For example, I chaired a meeting of city, county and State CIOs at the APCO annual conference in Anaheim in August, 2013. Deputy General Manager T. J. Kennedy came into the meeting and gave his business card to each of us, spoke at length, answered questions and interacted quite well with the group. Much worse is transparency on contractors. Again, I’ve interacted with a few of FirstNet’s contracted staff. They are knowledgeable and professional on the phone and at meetings. They listen, interact and are genuinely committed to FirstNet’s mission. In person and on the phone they arequite willing to give out their contact information. But many of us involved at the state and private level have been approached by people who say they are FirstNet contractors – and they are, I guess, but how would we know? Where’s the “index” or website listing all the contractor names and their responsibilities? Perhaps there’s some fear that if all that contact information is on a public website, the staff will be inundated with phone calls and email messages, but I think most of us on the outside will be more respectful about that. And a small suggestion: anyone involved with FirstNet should have a signature block which includes their name, title and contact info attached to the email messages they send. Suggestion: Be more open when contractors are hired. Just like when full-time staff are hired, couldn’t FirstNet make some announcements or tweet or something to tell the community that a new contractor is on board? Tell us a little about their background and qualifications. Tell us how they fit into FirstNet’s overall planning and work. We all understand that contractors are hired for various reasons and from various sources. Often a board member or another contractor or a full-time FirstNet staff person knows someone they’ve worked with in the past who has certain skills, and they are hired on that basis. That’s fine. When I’ve hired people I always looked for people who were known to be competent or referred by my existing staff and employees. A secondary benefit is the existing staff became invested in the success of the new hire. Especially at the beginning, but even now, FirstNet contractor hires appeared to be all people almost exclusively with private company cellular technology expertise. Some of the first hires had little or no experience with LTE. It was (and still is) a mystery as to how they were hired, by what mechanism, and what their connection or expertise/background is. The lack of transparency here certainly contributes to the feeling that the effort is being managed or railroaded in a certain direction. Be open about all this. It will only add credibility to these key individuals and the role they are each playing. I’ll give a specific example. Brian Kassa was a senior LTE engineer with Nokia Siemens. He joined FirstNet’s technical team as a contractor a few months ago. One of his duties is interacting with State government teams. I’ve known Brian for a few years and he actually is a responder working on a search-and-rescue team near Seattle. He’s an outstanding engineer, very committed to the effort. But you’d never know he’s working on this effort from looking at websites or other public documents/announcements from FirstNet. If FirstNet trumpets hires like Brian, they will build their own credibility as an organization which hires good people and is moving quickly to design the network. The Spectrum Act requires just one advisory committee – a public safety advisory committee or PSAC. That committee has been appointed. But it is somewhat of a mystery as to what charge that committee has, when it meets and what’s on the agenda for the meetings. Notes and minutes of the meetings are not publicly available. Now, most of that information is available if you know someone on the PSAC. And the PSAC Chair, Harlin McEwen, is one of the very best at quick responses to email and being open to talking on the phone. But I’d suggest FirstNet allow the PSAC to be much more open and public with what it is doing, including staffing it to allow it to do more work and have meetings which are more open. Create a special section on http://www.firsnet.gov for the PSAC. I’d suggest FirstNet consider appointing some additional advisory committees – which are allowed under the law – to increase the amount of input it gets and its openness. Specifically there could be a commercial advisory committee of potential vendors and manufacturers. There also could be a committee which directly includes the state governments upon which FirstNet will depend upon to build its network and its user base. Another committee might include secondary responders such as public and private utilities, transportation and transit departments. Again, the idea here is to improve FirstNet’s outreach to this potential user base. A secondary effect of the additional committees is getting more people involved – and therefore committed – to the overall effort. Yes, all of this will take staffing and money. But small investments today will pay big dividends (I think) when FirstNet is marketing its new network and services. I think that’s self-explanatory, if you look at the present website. I understand this new website is in the works, promised “within a month” as of this writing. But gee folks, the Board was announced in August, 2012, and there are hundreds of great web design firms out there. Does it take 13 months to get a decent website? Having a comprehensive, easy-to-use website demonstrates FirstNet’s commitment to transparency. The website also needs to include a decent calendar of events. Presently there is a calendar of speaking events on the existing website, but NOT a calendar of FirstNet meetings or events. Here’s a specific example. Kevin McGinnis is the Board member responsible for tribal outreach and has done a good job trying to contact as many tribal officials as possible. FirstNet originally set a meeting of tribal officials for August 26th for Washington DC, which then was pushed back to October and is now November 4th. Nowhere on any website or other document (as far as I know) has this meeting been announced. It is all word of mouth or, presumably, email messages to a group of tribal officials (I’ve never seen such emails, however). Suggestion: Get your own lawyers. After the Spectrum Act passed, a lot of attorneys made a lot of money interpreting it. The FCC, NTIA and DHS all had their staff attorneys go over it with a fine tooth comb, and I suspect there was a little bit of infighting as roles and responsibilities were sorted out. It seems that, in some cases, the FirstNet Board and staff let the lawyers tell them what they can and cannot do. I suspect that’s what going on in the spectrum leases with the 8 jurisdictions who have money and had FCC waivers to build their own networks. Here it is, 18 months after those jurisdictions were told by NTIA they couldn’t spend grant funds on LTE equipment, and only two of them have a spectrum lease allowing them to proceed on their networks. 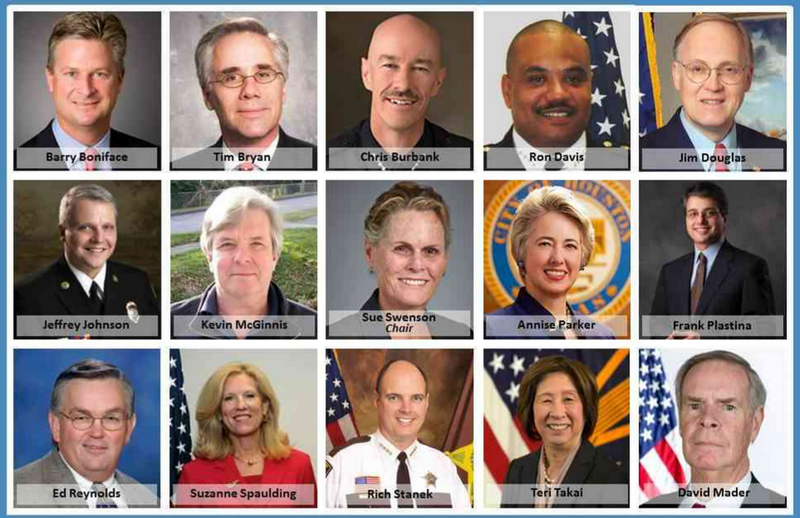 In the meantime, a lot of support from Mayors, Governors, state legislators, city councils, police and fire chiefs to build these networks has been squandered, creating a wariness about FirstNet. I believe some of the delay in negotiating leases has to do with the lawyers who are advising FirstNet that it cannot spend money on these pilots or otherwise has to restrict them. Such lawyers are (in my opinion) taking the most conservative possible interpretation of the law and what it allows or doesn’t allow with these early builders. What I’ve written in the previous couple of paragraphs is speculative, of course, because FirstNet has NOT been transparent about what the real issues are in the spectrum lease negotiations. The 8 early builders represent a tremendous opportunity for FirstNet to be entrepreneurial and test out a number of different models in the real world of public safety. The user stories from these 8 sites can help cement and improve public safety’s (and general government’s) support for FirstNet. When I ran the information technology department of Seattle’s City government, I had city attorney ADVISE me on contracts, risks and other matters. But in the end it was the attorney’s ADVICE and it was up to me to make the decisions and take some risks to move government forward with technology. It seems like the commercial members of the FirstNet Board should be quite familiar with this entrepreneurial model. Perhaps they should say to the lawyers “thank you for the advice” but take some risks to get these 8 early builders going and make them successful. Jeff Johnson and Craig Farrill have been outstanding “on the road” speaking and obtaining input about the project. They’ve been open. They’ve demonstrated the ability to listen. They know there are huge challenges ahead and they’ve been transparent about them. See, for example, page 22 of Jeff’s report to the board here. But FirstNet also understands (or needs to understand) that only a tiny fraction of their potential stakeholders know anything at all about the project, and most of the public – especially the technology-knowledgeable public – knows even less. If you don’t think so, just read the comments in this Ars Technica article about FirstNet. I just hope the outreach teams hired full time have the same sort of ability to listen and honesty which Jeff and Craig have displayed. Closing: FirstNet has a great natural wellspring of support. More openness will capitalize on it. Over the last four or five years, there was a huge campaign which generated public safety support for assigning the D block to public safety and to pass the Spectrum Act which created FirstNet. Indeed, I’ll often go to 911 centers or first responder departments here in Washington State to talk about the upcoming nationwide public safety wireless broadband network, and people will say – “that’s the D block, right”? This support is a major untapped resource for FirstNet. First responders, especially, want to see this work succeed. 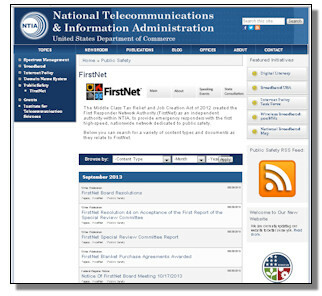 But, in addition, most of the associations and organizations comprising the old PSST (Public Safety Spectrum Trust) plus many telecommunications carriers, manufacturers, consultants and others have a long-term vested interest in the success of FirstNet’s mission. 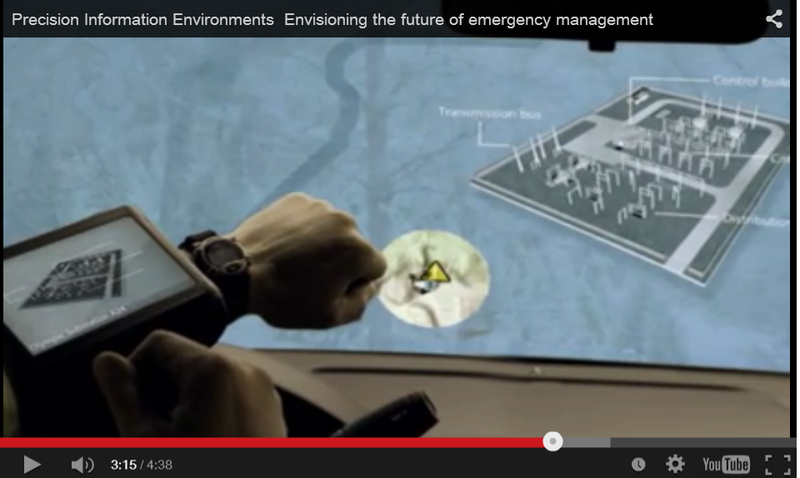 FirstNet, be open about what you’re doing. 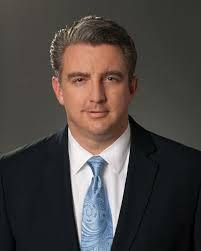 Embrace all these stakeholders, especially courageous, concerned folks like Sheriff Fitzgerald. Ask them for advice and support. Reach out to the larger potential user base – transportation, public works, utilities, railroads, small telephone companies and others. Being open, transparent and welcoming today will not only help you build the network tomorrow, but will also stand you in good stead as the inevitable bumps occur on your road to success. This statement represents the personal views of Bill Schrier, and does not reflect the views or opinions of any governmental or non-governmental association with which I’m affiliated. There may be inadvertent inaccuracies in the material presented above, and, if there are, contact me and I’ll fix them.